Home > News > Interesting Building! This is the building that I mentioned in last article. same as head office of FUJI Television at Odaiba. 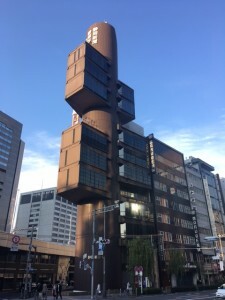 This building is located Ginza 8 chome, Sotobori-dori Avenue. I saw some tourists are also taking this building with nice camera! !